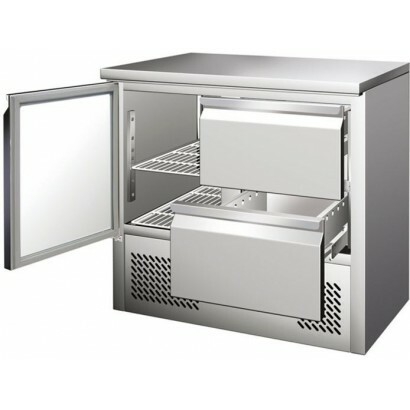 Compact counter fridges are ideal where space is limited. 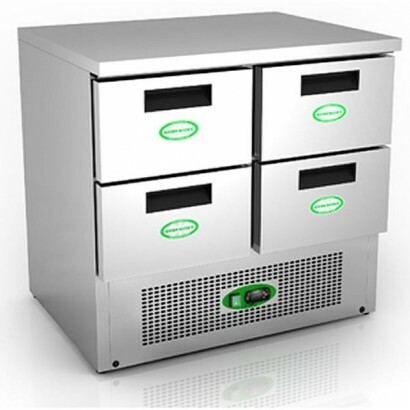 The compact counter gives easy access to your produce during preparation as the refrigeration is housed underneath the storage area allowing for a smaller counter footprint while maximising the food prep area. 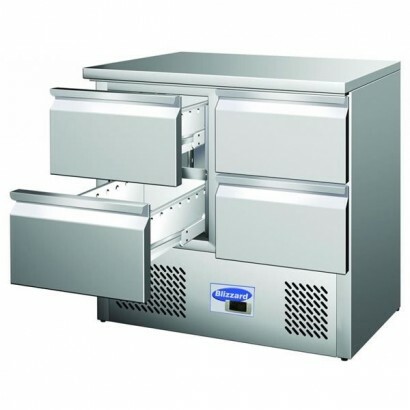 The range also includes units with granite tops which are perfect for pizza preparation. For more details on the range please contact the sales team by phone on 0161 442 9174 or chat online by clicking the blue tab in the bottom right. 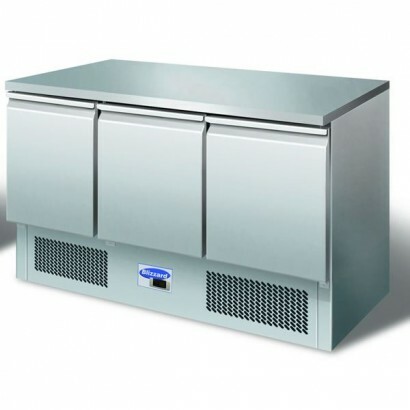 Great value two door refrigerated counter, the Genfrost GS901SS 2 Door Fridge Counter is ideal for k.. 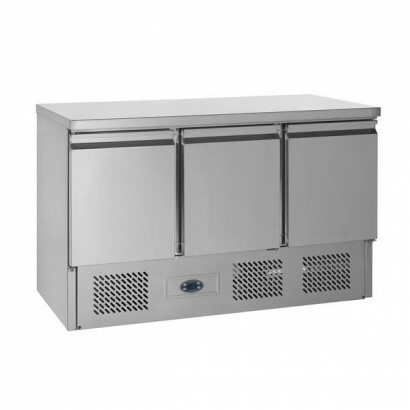 This great value two door refrigerated counter with granite worktop, the Genfrost G901GT 2 Door Gran.. 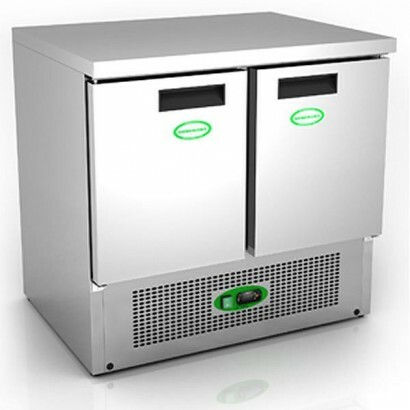 The Blizzard BCC2 plain top 2 door compact counter uses under counter mounted refrigeration which al.. 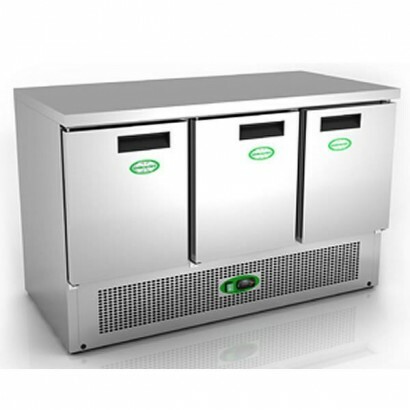 The Genfrost G903SS 3 Door Chiller Counter has a durable and reliable under mounted refrigeration sy..
Tefcold SA910 2 door compact counter part of the Tefcold Gastroline range. 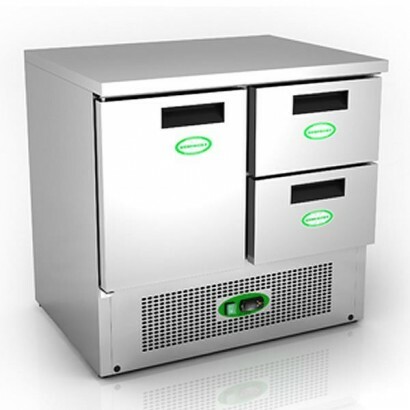 Accepts 1/1 gastronorm pa..
With a temperature range suitable for fresh meat the Genfrost G901/2D 2 Drawer Fridge Counter comes .. 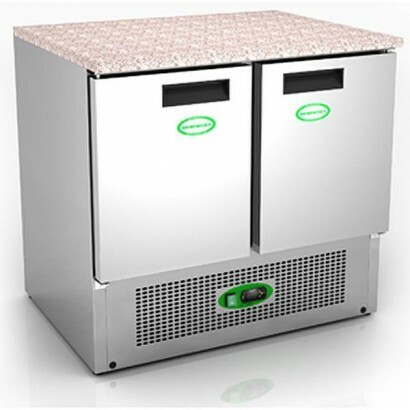 The Blizzard BCC3 plain top 3 door compact counter has under mounted refrigeration which allows for .. 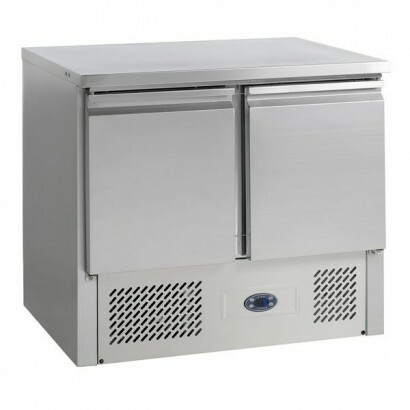 The Blizzard BCC2-2D Compact Counter has 2 drawers with under mounted refrigeration which makes the ..
With a temperature range suitable for fresh meat the Genfrost G901/4D 4 Drawer Fridge Counter comes .. 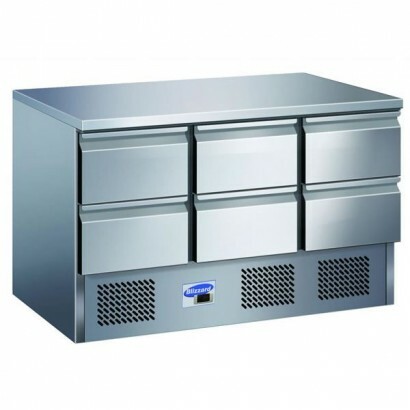 The Blizzard BCC2-4D Compact Counter has four drawers with under mounted refrigeration which makes t..
Tefcold SA1365 3 door compact prep counter ideal for smaller kitchens or prep areas where space is l.. 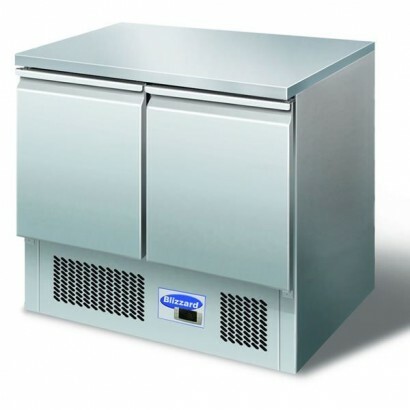 Under mounted refrigeration makes the Blizzard compact counter ideal for where space is limited and ..